I am so excited to share this makeover with you all! I spent all of last week working on multiple projects, I'm pretty sure I have project ADD. I just can't seem to fully focus on one thing at a I time, I get started and then something else will catch my attention and I will work on that for a while. Not too bad at all. 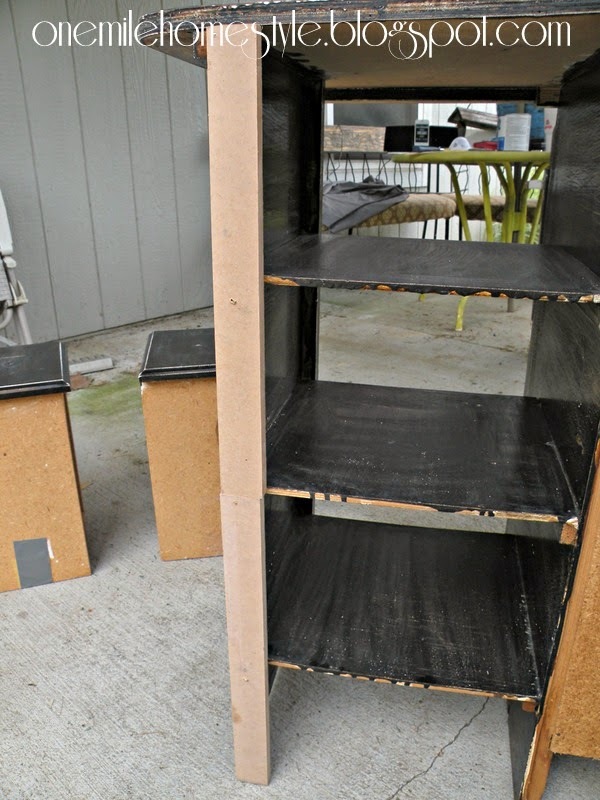 Other than needing to add a support to the back to keep it from wobbling, it was in solid shape. It just needed cleaned up and a new fresh coat of paint. We had beautiful weather, so I was able to spend an afternoon out on the patio cleaning, sanding and priming. 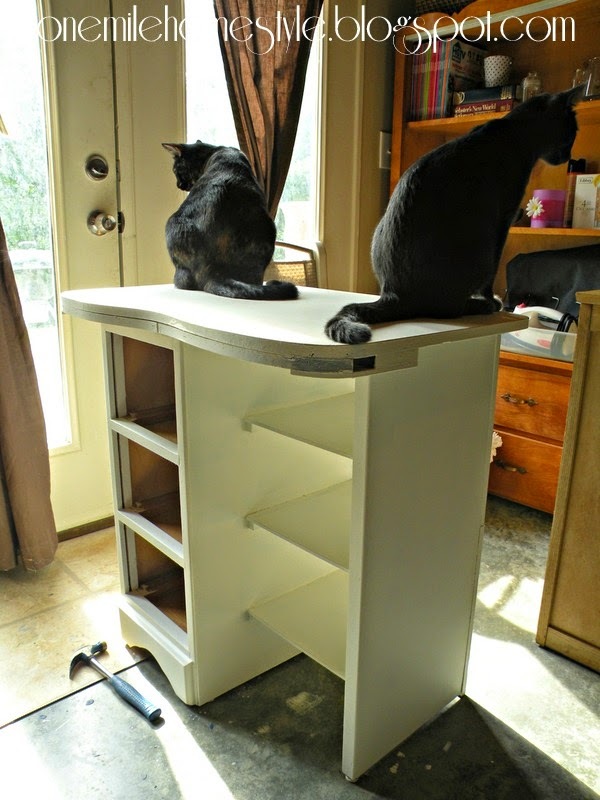 This next part is super important: Remember to remove any cats that have taken up residence inside the desk, before you start painting. I decided to go with Glidden Crisp Linen White for the overall color. 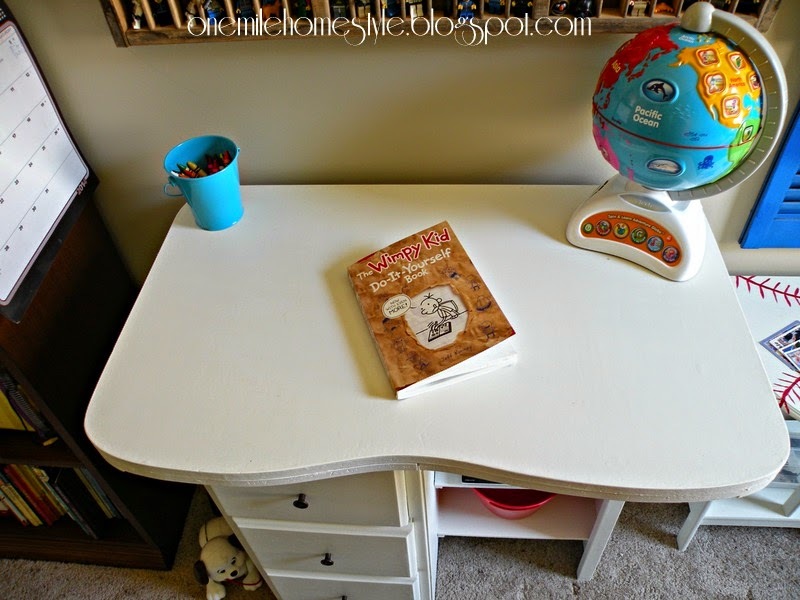 I wanted the desk to look simple and clean, and not stand out too much in the bedroom space. Once the paint dried, my lovely assistants decided they needed to test out the stability of the desk and make sure the paint was thoroughly dry before I added a coat of wax to seal and protect it. And, here is the after!! 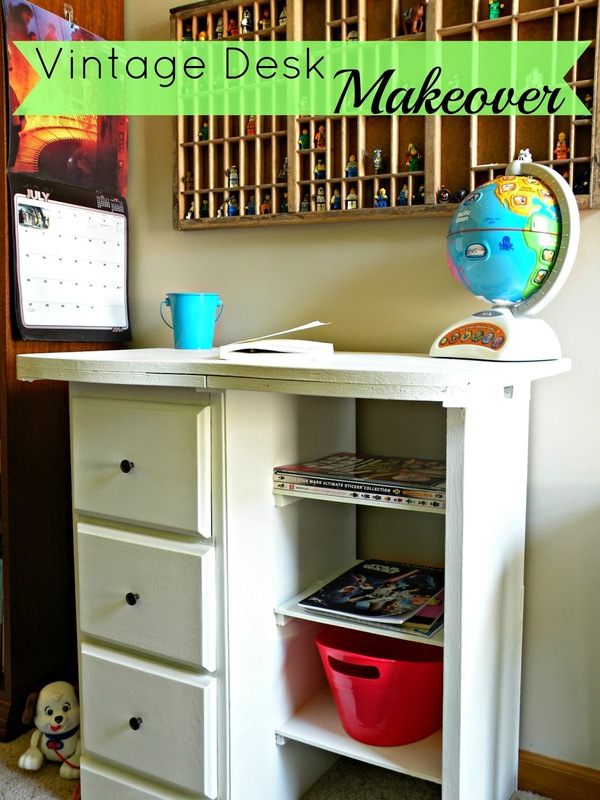 But wait, isn't the title of this post "Colorful Vintage Desk Makeover"? Where is the color, you ask? Well, there is a tiny, little surprise! Originally, when I was getting ready to pick paint colors for both desks, I asked my youngest son what color he thought might be good for his desk. I usually like to get both boys' input on the things that are going into their rooms, but when he picked a bright color, I had to take a step back and reevaluate my plan. 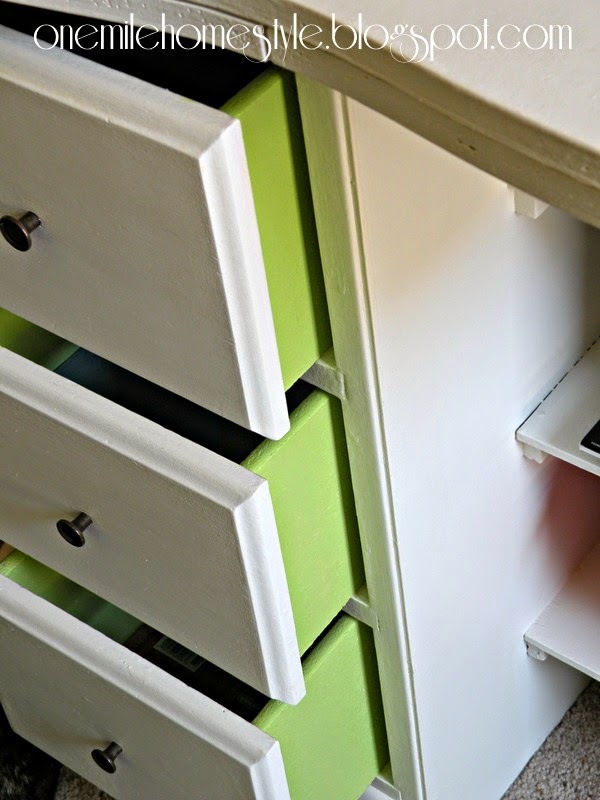 I took the bright green that he picked and used it to paint the inside of the drawers. 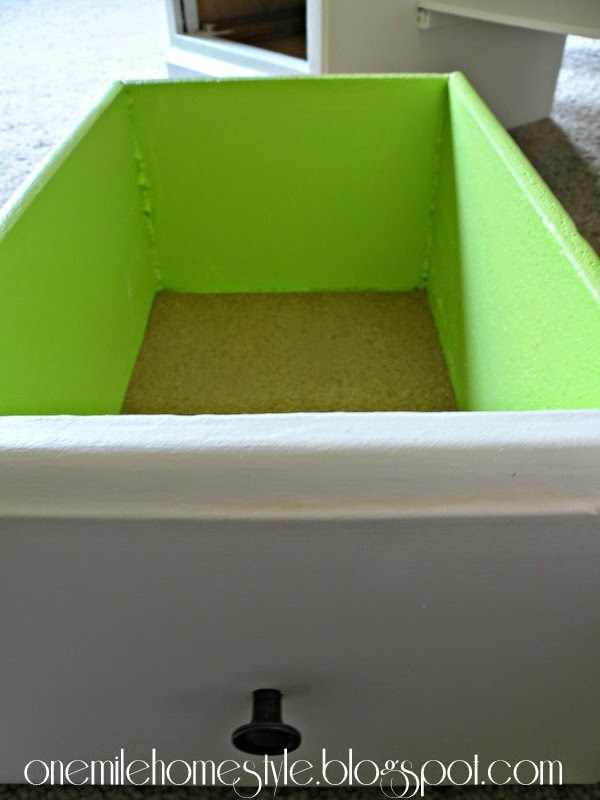 This one is Glidden Spring Green, and it is a gorgeous fresh green color. 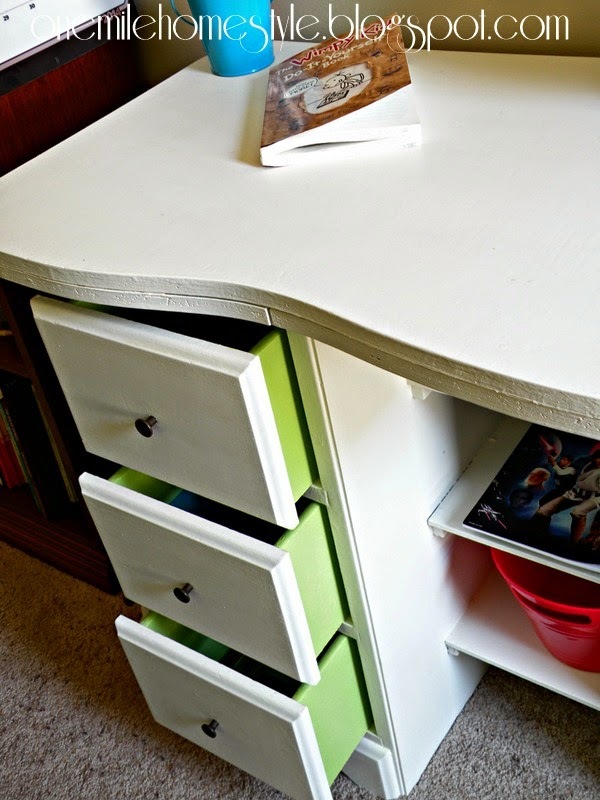 It looks great with the white and is such a fun and unexpected dash of color on this little desk. And it makes this desk perfectly fun for a kid's room. I decided to keep the old knobs on the drawers because they were simple and the dark finish gives some much needed detail to the drawers. 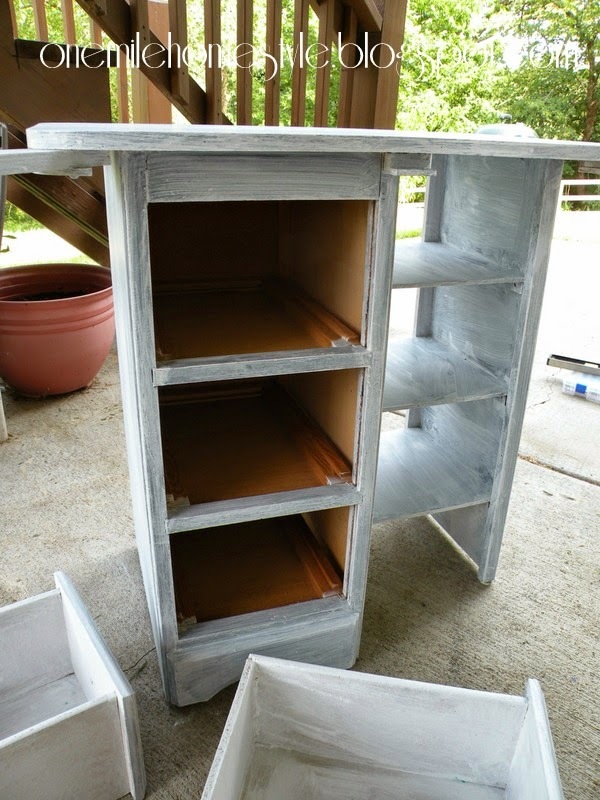 I wanted to dress up and protect the inside of the drawers too, and while I was getting my paint mixed I found some awesome cork shelf liner, and I could not resist! 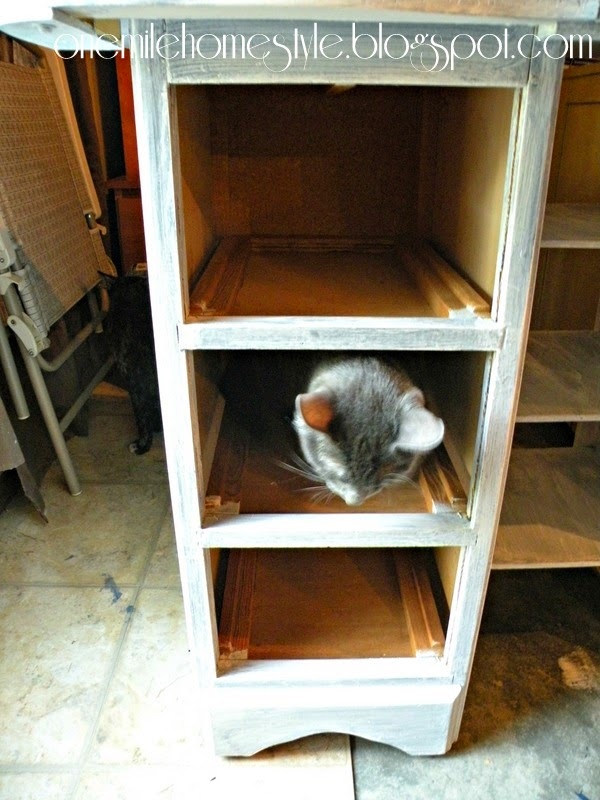 I cut it down to size and placed it inside each of the drawers. 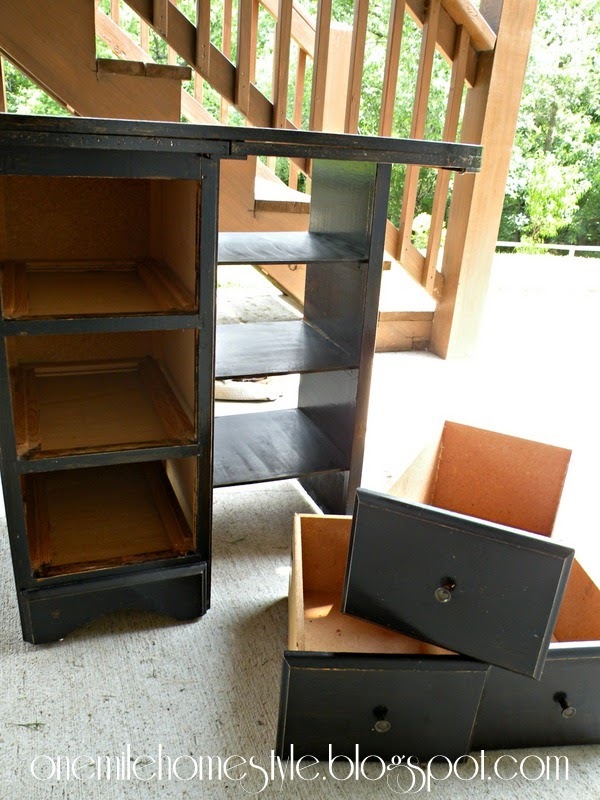 Love the desk and the color inside the drawers was a stroke of genus! Thanks for visiting and for the kind word Susie Q!! 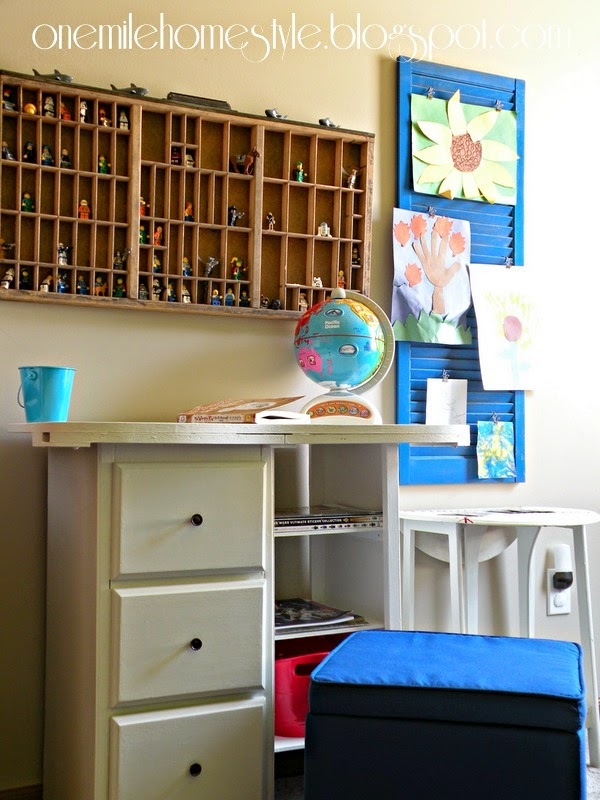 Love the desk with the pop of color in the drawers and everything around it!! Wonderful job!